Users who use the Instagram app on Windows 10 mobile were hit with a surprise when they opened the app today. When users entered the app, they were welcomed with a message that stated that the app would be discontinued on April 30th. 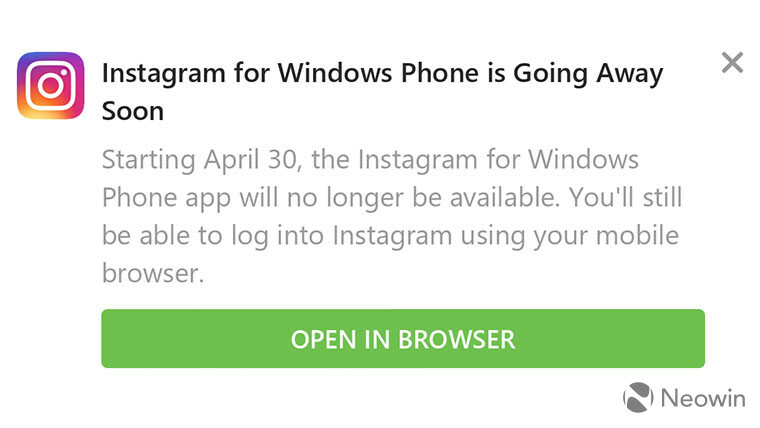 As we can see from the above image, Instagram notified users running Instagram on Windows 10 mobile that they would have to use the web browser on their phone to access Instagram after the 30th of April. Windows 10 users don’t have to worry as this change would not be affecting them in any way even though the apps are both under the same Store listing. 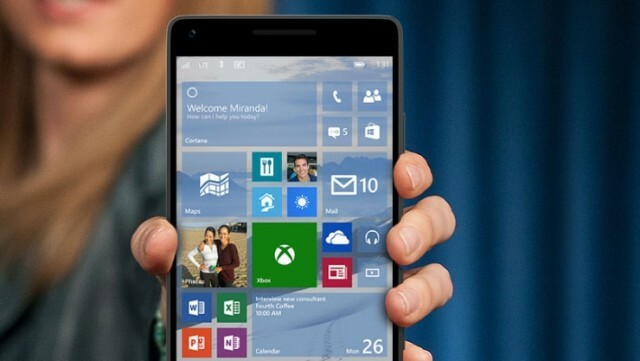 Windows 10 users will be able to operate and download the app normally. Will this change affect you? Well, don’t worry as users can pin the Instagram web app to the start screen of their Windows app and use it just like the normal Instagram app. Users can also opt for third-party alternative apps which are available such as Winsta and 6Tag. However, this change shouldn’t really affect many people as at this point most people have switched platforms from the Windows 10 mobile and users who are currently still using Windows 10 mobile are going to likely switch platforms as support for Windows 10 version 1709 ends in December. You can read more about that here.